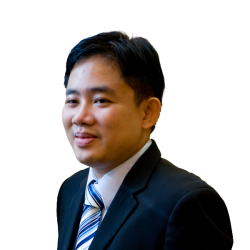 Having started his career in Singapore, Jonathan has been operating in the insolvency and restructuring market for more than 13 years and also has had exposure to various insolvency proceedings in Malaysia, Indonesia and Hong Kong. Additionally, he has achieved an enviable collection of experience on all ranges of onshore and offshore dispute resolution in South-East Asia, including numerous litigation support, dispute resolution, forensic investigation and valuation engagements. I was impressed with his ability to cut through the noise and focus on the real issues. He possesses both the technical and practical knowledge to resolve complex multi-faceted cross border issues. He understands the nuances of the various insolvency regimes and is able to come up with practical solutions in difficult situations. Jonathan is bilingual in English and Mandarin.